The Loch: A Scottish Fishing RPG is a slice-of-life roleplaying game; the player takes on the role of Angela, an angler who has come to fish in Loch Saor, in the Scottish Highlands; the player must guide Angela around Loch Saor as she tries to catch at least one of each type of fish in the areas surrounding the loch. 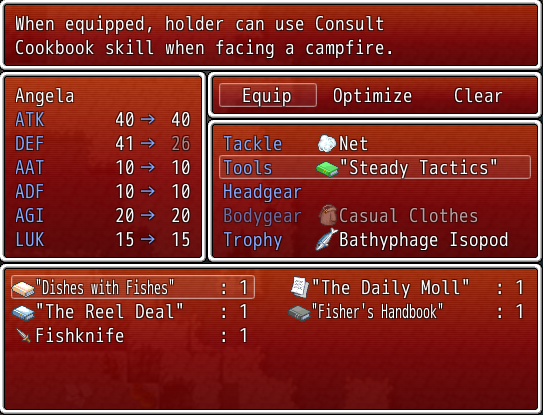 Along the way, she meets a number of the loch's residents, stumbles upon mysteries, and makes friends with other anglers. 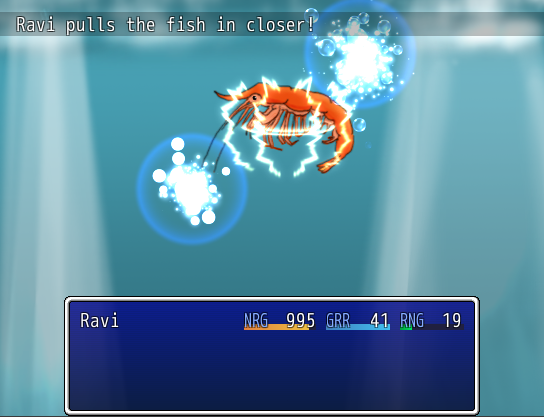 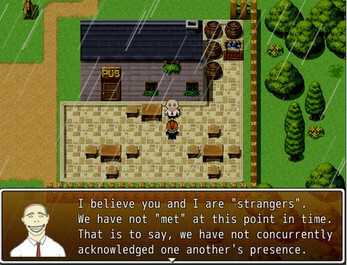 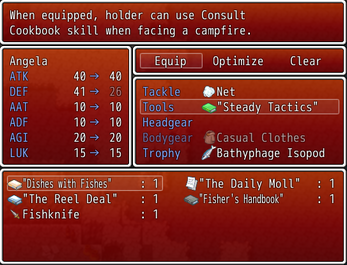 The Loch was made using RPG Maker VX Ace Lite as part of the 2013 Fishing Game Jam. 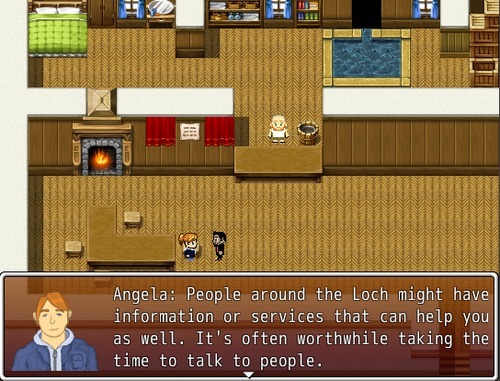 You can find out more about The Loch, including screenshots and the developer diary, at my main site!